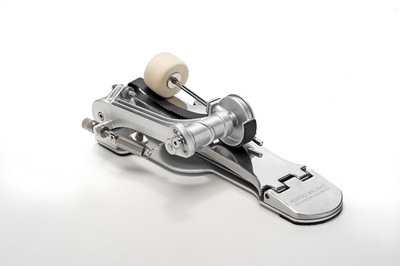 So I started my quest to put together a perfectly balanced pedal that matches the requirements of today’s music. For about six years I experimented with different parts,drive systems and footboards until I had the blueprint for the pedal that you have in front of you. Other than the action, easy portability and quick set up was a main concern to me. At that point SONOR joined the project and contributed their German precision engineering and an innovative solution for the folding mechanism and self-mounting hoop clamp that works at the push of a button. 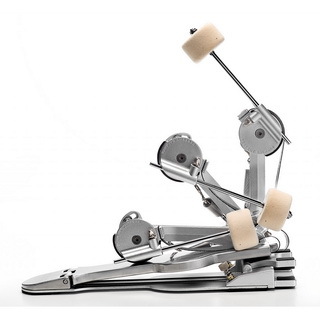 The Perfect Balance Pedal is a carefully calibrated system that optimizes the linear translation of your foot movements and makes many adjustments expendable.It was designed with a principle in mind that reflects ultimate sophistication to me: Simplicity. The main philosophy behind this pedal is to achieve perfect harmony and interplay between the pedal’s moving parts and your foot. Due to careful design and perfectly balanced linear action any non-vital adjustments are obsolete and omitted on purpose. 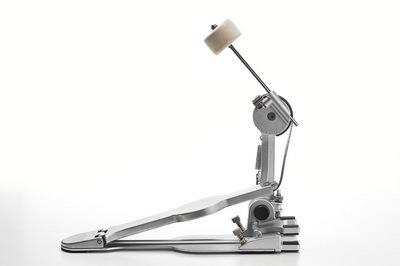 Other than the pedal’s folding and mounting mechanism, all adjustments such as spring tension, footboard height and beater angle are classic, industry standard solutions. The drive cam and beater hub are streamlined into a single unit for low mass and carefully calibrated for perfectly balanced strokes. 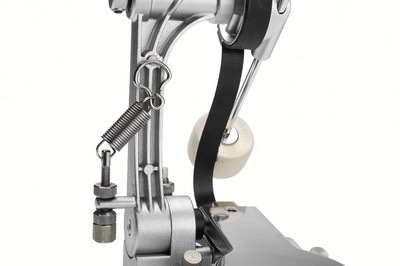 Round cam design creates linear acceleration which is a major advantage for many hybrid techniques. minimizes inertia of the drive system and offers a quicker and smoother response than chain or solid drives. Elongated and smooth footboard adds more leverage to the stroke and allows extended range of movement for heel toe and sliding techniques. 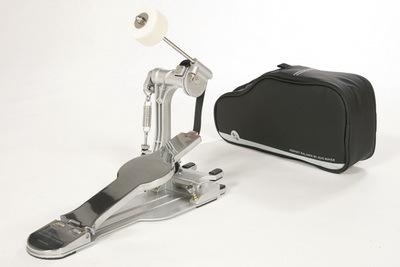 Folds the pedal into compact size for easy transportation with the push of a button. For extended lifespan, the spring can be dislocated and secured with a magnet when folded. 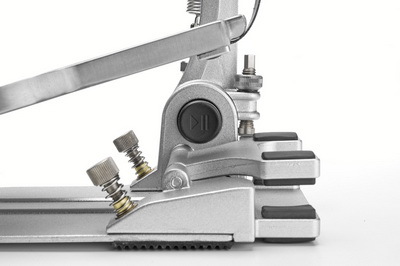 Quick mounts the pedal with a single motion. Clamp adjusts to all hoop thicknesses.